Has vivid green color when dissolved in water. Tea powder product made from Japanese-grown Gyokuro tea leaves. 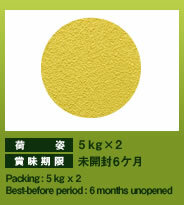 Made from Japanese-grown tea leaves produced by certified organic producers. Tea powder product made from Houjicha produced in Japan. Tea powder product made from Kuki Houjicha (roasted tea blend made of stems, stalks, and twigs) produced in Japan. 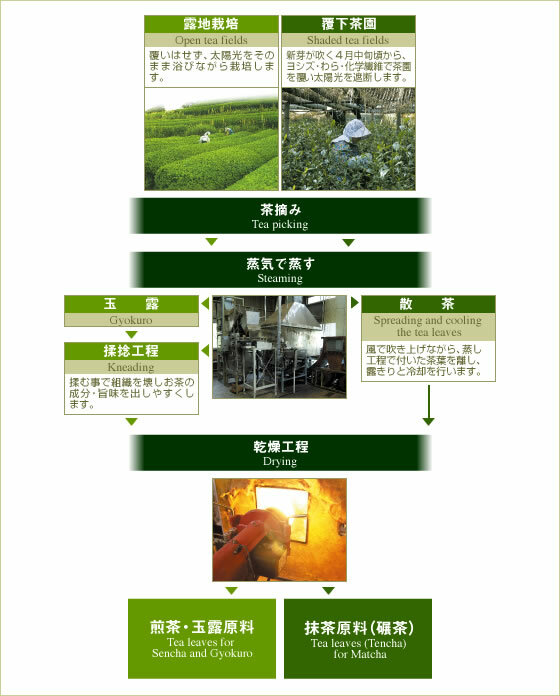 It’s taste is somewhat milder than that of Houjicha Powder. 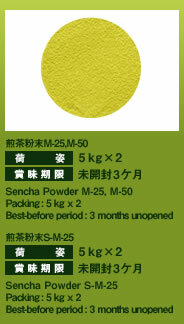 Tea powder made from Genmaicha (green tea combined with roasted brown rice). Crude tea leaves for Matcha are roughly ground and blended with finely-ground Matcha powder.